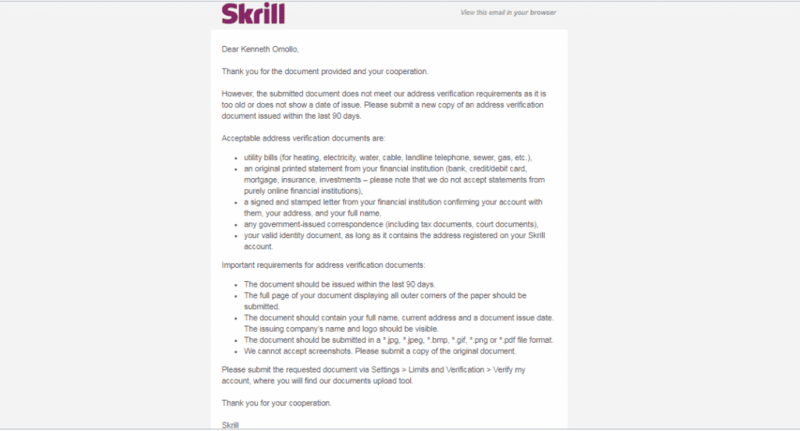 It Took The Involvement of KRA for Skrill to Verify My Account! 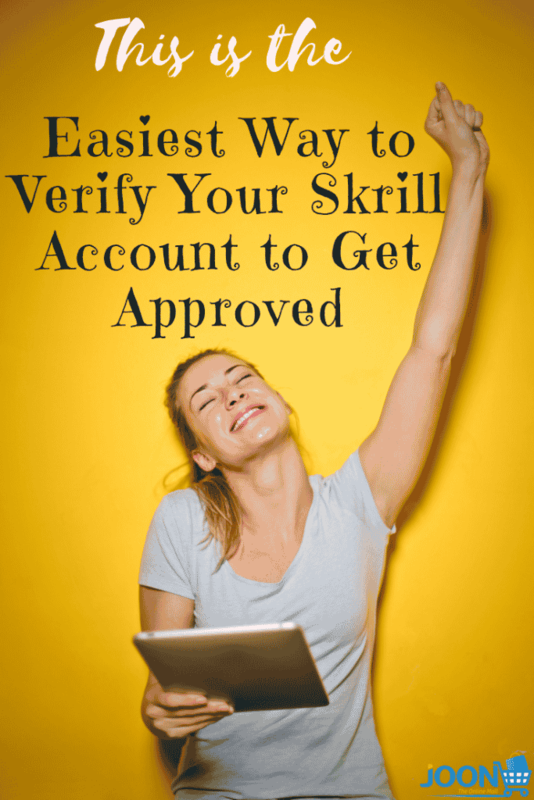 Verifying your skrill account can be the most stressful task that you ever have to do online. 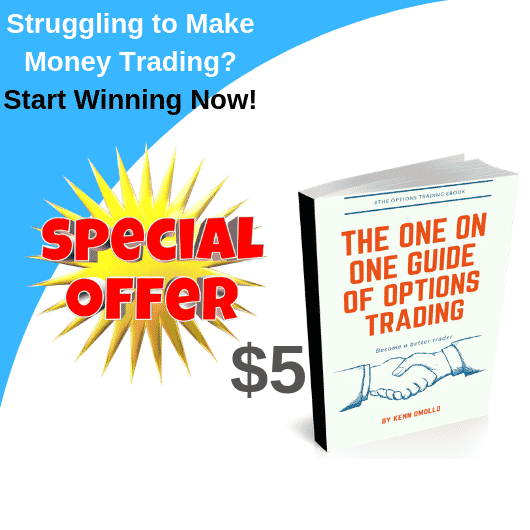 Especially if you just made a huge deposit to your account – which was gladly accepted — only to be told that you no longer have freedom with your account and money. At least until you verify your skrill account. Your valid identity document, as long as it contains the address registered on your Skrill account. Stress settles in when you have scanned and sent utility bills; sent bank statements, uploaded a signed and stamped letter from your bank confirming that you own your local bank account. Sent them your government issued identity documents and they still insist that they can’t verify your identity. Then you wonder, what the f**k? Do these people want me in person in London to verify my identity? Because what else can you send them to be verified if you have exhausted their list of verification options and they still insist you verify your account? What else can guarantee your Skrill verification if your government issued passport won’t! 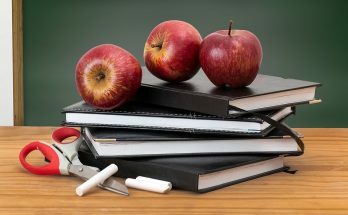 The statements are perceived not to be original – this happens when the original documents are printed in black and white – upload colored documents and they might be approved first. Most transactions on your bank statements are mpesa transactions – skrill does not accept statements from purely online financial institutions hence their reason to reject statements with more mpesa deposits than direct bank deposits and withdrawals. What Skrill Needs to Verify Your Account. These are some of the requirements to check before uploading documents. Match them and you will be verified in less than 24 hours. The document should be issued within the last 90 days. The full page of your document displaying all outer corners of the paper should be submitted. The document should contain your full name, current address and a document issue date. The issuing company’s name and logo should be visible. Тhe document should be submitted in a *.jpg, *.jpeg, *.bmp, *.gif, *.png or *.pdf file format. Skrill cannot accept screenshots. Please submit a copy of the original document. I had reached my second verification limit, I quickly tried the verification by Geo method hoping it worked. 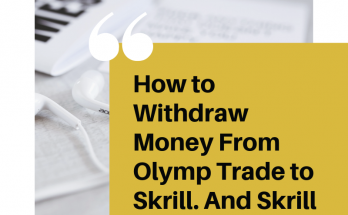 Because come on, using the Skrill Geolocation tool is the easiest way to instantly verify your skrill account, or is it? Turns out Kenya is not among the countries that can use this tool for verification. It failed. At which point I visited my bank and had them print my bank statements for 3 months. I uploaded them to skrill and the statements too were rejected for some of the reasons specified above. I went back to the bank after three days and got a letter confirming my account with them – stamped and dated. Suffice it to say that I had helped a friend with the same process and succeeded in a day. She is with Sidian bank. I started getting stressed and worried. But I wasn’t gonna let my money just lie there without a clue of when I’d get it back? Each time uploading a different bank statement, a different utility bill, a cable bill and more. It even reached a point that I even sent them my Kenya Revenue Authority (KRA) PIN certificate which by the way has my residential address and the name of the building I live in. If Skrill wanted to confirm if I’m real, they would have googled the building and sent drones to confirm if I truly live here. And I swear, they’d have seen me waving at them from the balcony of my house. Provided they hit me up in advance and asked me to do it. But these people Skrill, they decided to do me another injustice. They rejected my KENYAN GOVERNMENT ISSUED KRA PIN. A document which by the way doesn’t just give them unlimited rights to know where I live; but also has my roots. She died at 110+ may her soul rest in eternal peace…. Yet these people SKRILL did not see it’s value. They sent me the same old system generated Email – your uploaded document is rejected. If these Emails were being delivered by a mail-boy, I’d have punched him in the face at delivering this last letter to reject my KRA. At least then I’d be even with Skrill. I still hold a huge grudge against their system. 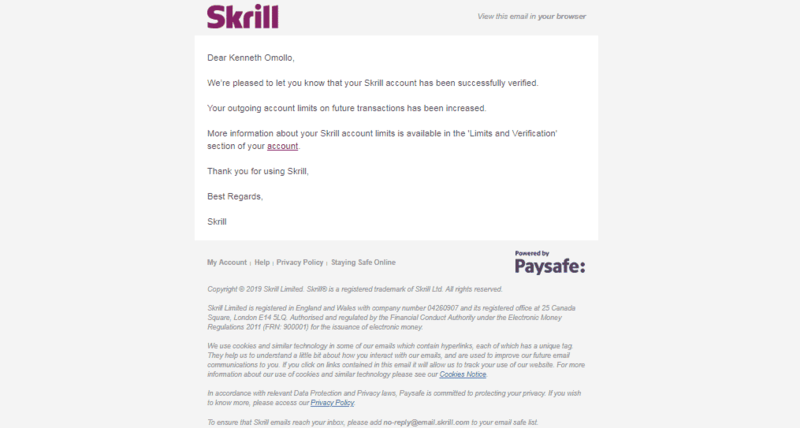 What was your worst experience with Skrill verification? Do You Want to Start Blogging? I’ll Help Set up Your Blog For Free! 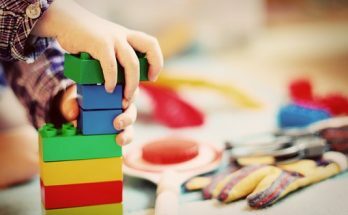 Previous Article Do You Want to Start Blogging? I’ll Help Set up Your Blog For Free!